If you are here at www.coachhirebolton.com, then this must mean that you are interested in hiring our services to take you around the town of Bolton for one reason or another. We are a reliable company with positive reviews from satisfied customers all around the country. We serve all areas in and around Bolton and offer very reasonable prices based on your needs. 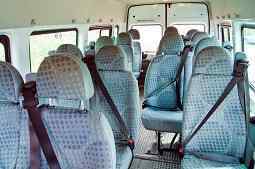 Bolton minibus and coach hire are a company who have been in business for quite a while and we continue to serve the area to a high standard each and every day of the year. 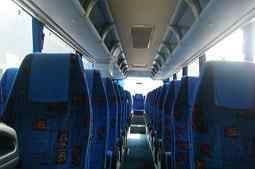 There are many reasons why you would want to hire a coach/mini bus to show you around the town of Bolton. Perhaps you are a teacher organising a class trip or a businessman who is setting up a corporate event? More casual reasons and common reasons how our services are for used is for parties such as hen nights and similar kinds of celebrations. Now that you have found yourself on www.coachhirebolton.com – You can fill in your details on our online contact form. If you would prefer, you ring us with your requirements and we will get back to you ASAP! There is definitely a lot going on in Bolton all year round and just in general. Travel around in a stylish minibus during your stay and don’t miss out! Bolton is a town that is found in Greater Manchester, in The North West of England. Although it is a town with quite a small population, it attracts many tourists on a yearly basis and the locals are very welcoming. If you are using our minibus services to travel around Bolton, there are some great locations that you need to think about checking out! If you want to explore the history that the town has to offer, then it’s definitely worth visiting Bolton Steam Museum, it has a vast collection of engines that will leave you transfixed for hours if you are interested in that kind of thing. Fred Dibnah Heritage Centre is also a really interesting location, where you can learn all about the eccentric genius who was Fred Dibnah. If you are travelling with children and want to show them a fun time, why not pay a visit to Smithills Open Farm? There are an array of animals at the farm and lots to do, which is a big hit with young and old alike. If you prefer more adventure on your travels, unleash YOUR inner child at ‘Go Ape’ at Rivington, Bolton. There are no words to describe how exciting this place is, it’s like nothing else for miles around. Both children and adults can monkey around at this facility because there is something for everyone of all fitness levels. There are actually many events on in Bolton this year, including The Food and Drink Festival. This food eating extravaganza is a yearly celebration in the town of Bolton and it’s actually on at the end of August 2015. It would simply be a crime to go to Bolton without visiting the beautiful Turton Tower. It’s really cheap to get in and you can learn a lot of information about the local history. Turton Tower would actually make an ideal school trip for kids of varying ages. In terms of nightlife, there are many clubs, restaurants and pubs to enjoy in Bolton. This makes it the absolute ideal location if you are celebrating a stag or hen party in the area. Great Ale Year Round is a pub that promises a great northen atmosphere, with cheap prices along with quality food and drink. The blind tiger is a club that has great music, usually centred around the more alternative vibe for Punk and Indie fans out there. Hen & Chickens is another pub found in the centre of Bolton that has a brilliant atmosphere. There is even a function room that is the perfect location for an event or gathering among friends. There are several casinos around Bolton too, so if you are feeling lucky – they are definitely worth a visit. Now that we have established the vast amount of things to do in Bolton, let’s take a further look at why you should use www.coachhirebolton.com, for all your minibus/coach hire needs. First of all, we have such a wide range of vehicles available which means that we can help you no matter how many people are travelling. Our minibuses and coaches are quite sophisticated and sleek in their design too! On the day, you will be assigned a friendly chauffeur who will take you wherever you need to go. This will ensure that you can fully enjoy your time at Bolton, without having to worry about transportation. If you are partying, it also means that you can all drink alcohol because there will be no designated driver. If you are looking for minibus hire in Bolton, use our services and you will not be disappointed. Check our fleet of vehicles and then get in touch via our website, to discuss what you need and when you need it. 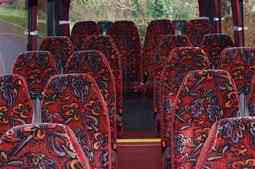 We will return all queries promptly and offer you a reasonable quote for minibus and coach hire.